Meets Bendigo RSL 1st Thursday of the Month at 11am. The last report I wrote was just so long ago, that I can't believe another year has passed us by! In this edition you can read about our Christmas function, the Branch AGM and Commemorative Service for Darwin Defenders. Sadly we lost another WWII member in Noel Dean on 16th January, 2017. Noel celebrated his 90th birthday on 15th August with a great family party. I was very privileged to receive an invitation and meet with his six daughters. Noel had been in extreme pain for past 2-3 years. He attended our meetings regularly, wearing a lovely smile and never grumbled. We will miss him very much. 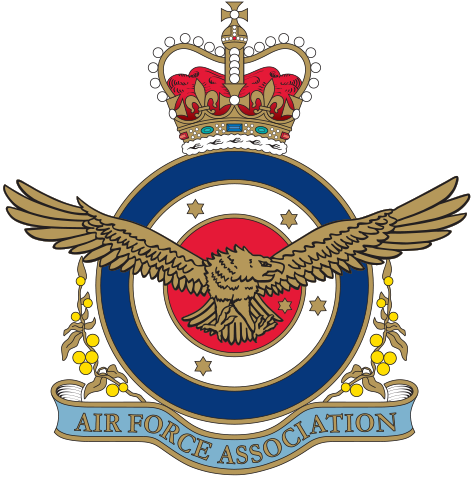 It was Noel's wish for a RAAF funeral service which we were pleased to comply with, giving him a guard of honour as he left the funeral parlour and was carried to the grave. On 18th March 14 of our members travelled to Lake Boga for the 75th Anniversary of No.1 Boat Repair Depot. It was a wonderful day, sunny weather with just a cool breeze. The event which had been organised by Lake Boga Lions Club was extremely well done. There was a huge selection of food & drinks available. There was only one disappointment, the Catalina didn't fly in from Sydney because the weather was so wet that it couldn't get off the ground. Bet you're thinking just what everyone was saying. So the high light of the day was the Roulettes who flew low in over the water, performing their tricks. SO GOOD.